AIIMS MBBS Application Form 2019 – AIIMS, New Delhi has re-opened the final registration for those who could not fill their choice of exam centres before but have completed all other processes of AIIMS application form 2019. As per the official notice, the candidates will be able to fill their choice of exam city from April 5 to April 9, 2019, up to 5:00 PM. Candidates can check the official notice in the article below. 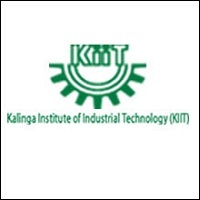 To complete AIIMS final registration, a link has been provided on this page, in which aspirants have to enter their registration ID, unique code, password and available captcha code. AIIMS MBBS prospectus 2019 along with the guidelines to fill the form, eligibility, admit card, exam pattern, result and other details were also released by the authority. A link to download the prospectus is provided on this page. For the better convenience of students, the images of AIIMS MBBS final registration 2019 is also provided in the article. 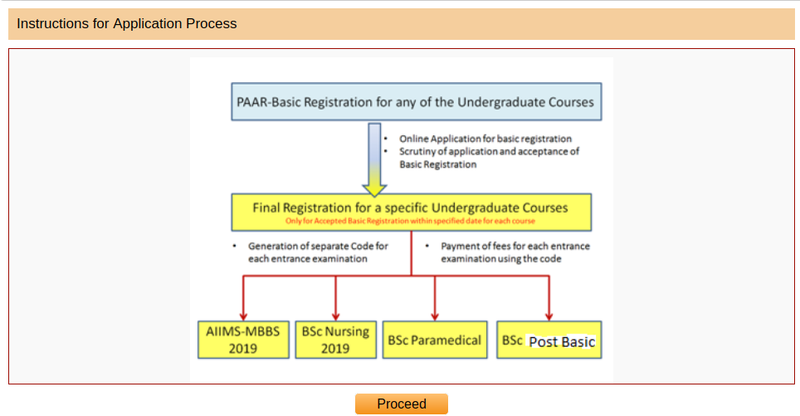 This year, the process to fill AIIMS application form 2019 has been changed as the Prospective Applicants Advanced Registration (PAAR) facility has been introduced. AIIMS MBBS application form process 2019 is divided into two steps – Basic Registration and Final Registration. During the basic registration process of AIIMS application form, aspirants need to fill their personal details, contact details and upload the scanned images of passport size photograph, signature and left-hand thumb impression. While, in the final registration, the remaining details such as qualification details, payment, city choice and printout of the registration form is done. The examination authority has released the total AIIMS MBBS seat matrix 2019 mentioning that, AIIMS MBBS exam will be conducted for admission to a total of 1,207 seats offered by 15 AIIMS Institutes. AIIMS MBBS 2019 exam date has been announced. 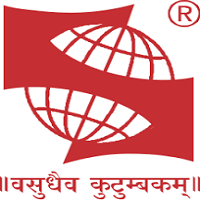 The exam will be conducted online on May 25 and 26, 2019, with 200 multiple choice based questions. The questions asked in the computer-based exam will be from Physics, Chemistry, Biology, General Knowledge and Aptitude & Logical Reasoning. 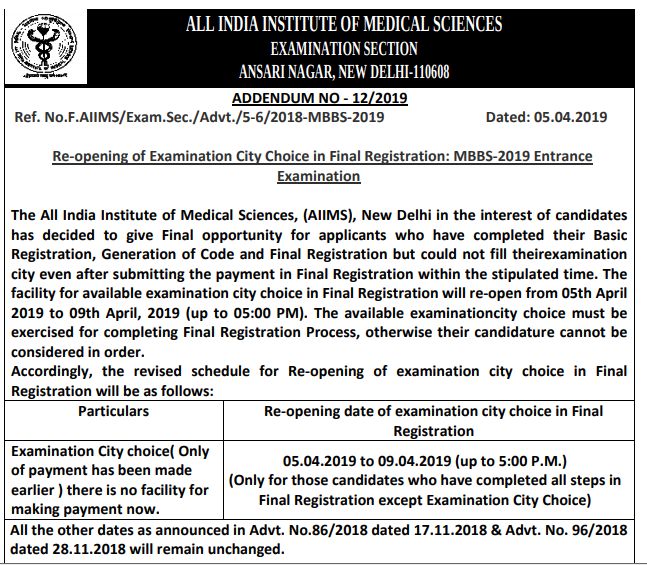 AIIMS, New Delhi released a notification on April 5, announcing the re-opening of examination city choice in the final registration of AIIMS MBBS 2019 application form. The candidates who have completed the entire procedure of AIIMS MBBS application form but were not able to fill the choice of exam city for some reason can now do so from April 5, 2019, to April 9, 2019, up to 5:00 PM. Candidates can check the official notice in the image below. Before starting with the AIIMS application form 2019, candidates must fulfil AIIMS MBBS 2019 eligibility criteria. The basic eligibility criteria set by AIIMS, New Delhi are mentioned below to check whether applicants are eligible or not. Age: Students must have attained the age of 17 years as on December 31 of the year of admission i.e. 2019. Also, candidates who are born on or after January 2, 2003, are not eligible for the test. Qualification: Aspirant must have completed their Class 12 under 10+2 scheme/CBSE/ISC or an equivalent examination of a recognised university/board of any Indian State with English, Physics, Chemistry and Biology as a main subject. Candidates who will be appearing for Class 12 boards in the year 2019 can also appear for AIIMS MBBS 2019. Minimum marks: General and OBC category applicants must have obtained 60% taken together in Physics, Chemistry, Biology and English, while candidates belonging to SC/ST categories must have secured at least 50% these subjects in Class 12. The minimum required percentage for PwD candidates is 45%. The code generation facility for final registration has been re-opened for the candidates from March 19 to March 25 up to 5:00 PM. Only those candidates who had successfully completed the basic registration step were able to generate the code. After generating the code, candidates can participate in the Final Registration. Following were the steps to generate code for AIIMS MBBS application form 2019 final registration. Click on the link provided above on this page for generating the codes. Enter the login credentials - registration ID, password and provided captcha code. Click on the 'Generate Code' option displayed on the left side of the screen. Using the option, aspirants then have to select their course, in which they are applying. Thereafter, the AIIMS MBBS application form code along with basic registration ID and candidate's name will appear on the screen. Copy of the left-hand thumb impression. The passport size photograph, signature and left-hand thumb impression must be uploaded in the AIIMS MBBS 2019 application form, as per the specifications mentioned below. The basic registration process started on November 30 while the final registration started on February 21, 2019. 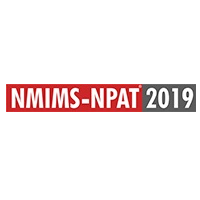 AIIMS 2019 application form can be filled only through PAAR facility, newly introduced by AIIMS, New Delhi. The overall application process can be completed in two steps – basic registration and final registration. Read the step-by step procedure to fill AIIMS MBBS application form 2019. As suggested earlier by the conducting body, the Basic Registration part of the AIIMS application form is non-year exam specific i.e. the details submitted by the candidates can be utilised in the next academic year. Not only this, the details submitted in Basic Registration of AIIMS application form will be applicable for other courses entrances like MBBS, BSc Nursing, BSc Paramedical and BSc Post Basic. Check below the flow chart to understand the complete AIIMS application process. How to register for AIIMS MBBS 2019 Application Form? Below is the elaborated registration procedure of AIIMS MBBS 2019 including video representation. Firstly, candidates have to complete basic registration process under PAAR facility to fill the AIIMS application form. For new registration, candidates need to click on the link which will be provided on this page. By clicking on the link, aspirants will be redirected to the instruction page of application form. It is advised to read all the information carefully before start filling the application form. Click on ‘register’ after verifying the details filled while registering. Check the screenshot below of AIIMS application form here. After registering with the correct details, a message will appear on the screen displaying the ‘Registration ID’. An email and SMS will also be sent to the registered email ID and mobile number containing ‘Registration ID and Password’. Applicants are advised to note down the credentials for future references, as it will be used for logging in to fill AIIMS MBBS application form and downloading AIIMS MBBS admit card 2019. As soon as aspirants will receive the candidate ID and password, they will be directed to the login page. Candidates will be asked to enter their registration ID, password and copy the captcha code. The details filled by students will be displayed on the screen with the remaining steps. Aspirants can either choose the option to edit the information filled or click on ‘Proceed’ to move for step 2. In step 2, aspirants need to upload their scanned copy of passport size photograph, signature and left-hand thumb impression. All the images must be scanned properly as per the specifications mentioned above on this page. If the images will not be uploaded, candidates will not be allowed to move further with the application process. These documents need to kept ready before starting the Final Registration process of AIIMS application form 2019. In the next step of final registration, candidates will be required to enter their qualification and address details, payment of application fee, choose exam city and take a printout of application fee. In order to begin with the final registration process, the eligible aspirants need to login using their registration ID, unique code, password and displayed captcha code, as shown in the image below. After completing the registration process, candidates will be redirected to a new window to pay the application fee. The amount of application fee can be paid in online mode through credit/debit cards or net banking. During the facility of code generation, the authority has also declared the AIIMS 2019 application form fees to be submitted by aspirants. Likewise last year, the registration fees for General/OBC category aspirants is Rs. 1500, while for SC/ST candidates, it is Rs. 1200. Check the application fee of AIIMS MBBS 2019 from the table below. Note: Before the payment of application fee, applicants can check the availability of exam city by clicking on ‘Check City Choice’ option. Here, they can check the real-time availability of seats in the selected state. However, the city can be selected after the successful payment only. 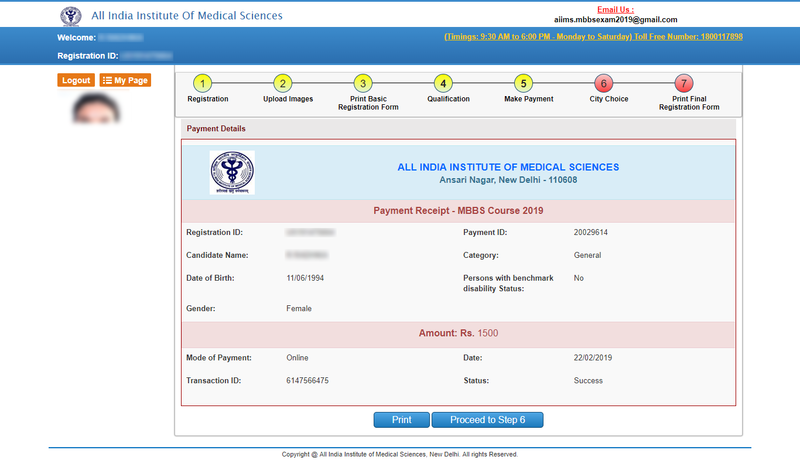 Candidates must remember to take the printout of payment receipt as a proof of successful payment of AIIMS MBBS 2019 application form fee by clicking on ‘Print’ button. 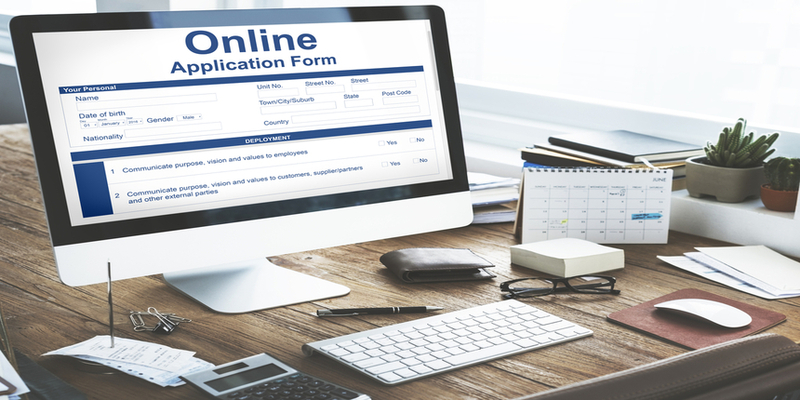 Once the payment of application form, aspirants will be re-directed to city choice page by clicking on ‘Proceed’ button. The city availability list shows the real-time seats available at that particular time in a city. It is advised to choose the city with utmost care, as once the city is chosen it cannot be changed. AIIMS MBBS will be held in 151 exam cities of India. From the list of these cities, aspirants have to choose one preference of city in which they want to take the exam. The allotment of AIIMS MBBS 2019 exam centres will be on the basis of first-come-first-served. The name and address of exam centre will be mentioned in the admit card of AIIMS MBBS 2019. Once all the steps will be completed, aspirants will be required to click on ‘Final Submit’ option. On the registered mobile number and email ID, aspirants will receive an email and SMS containing the status of the application form. It is advised to take a printout of the filled and submitted registration form and confirmation page and preserve it for future references. AIIMS, New Delhi had opened the facility to modify the incorrect details filled by aspirants in the Basic Registration process of AIIMS MBBS 2019 application form on January 18. In case to modify/edit/delete the information filled, the link for the correction window of AIIMS 2019 application form is available above. Before the correction window, the authority will display the status of applications from January 17. Check the steps to edit the details in AIIMS MBBS application form correction window 2019. How to edit details in AIIMS Application Form Correction Window 2019? AIIMS MBBS candidate login will appear on the screen. Aspirants have to enter their application number, password and provided captcha code. 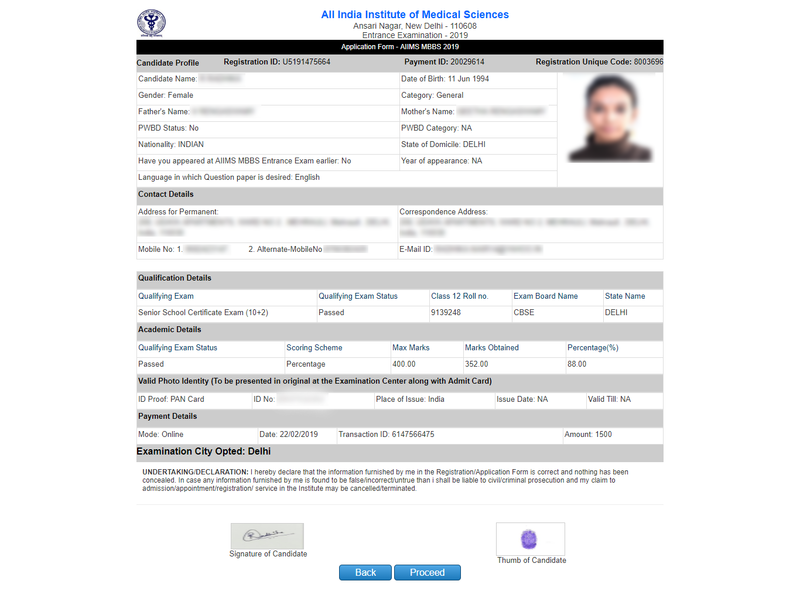 AIIMS MBBS application form 2019 basic registration will appear on the screen. The details which must be edited will be mentioned above in red color. Candidates will be allowed to correct the details specified by the authority. After editing the details, click on the declaration form and submit the application form. 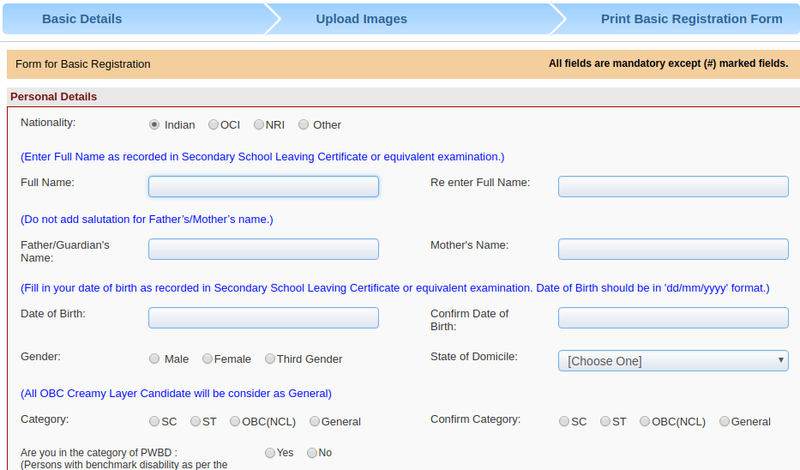 The confirmation page of AIIMS application form will appear on the screen. Take a printout of it for future use. The aspirants who have completed their AIIMS basic registration process will receive a mail from PAAR authority mentioning to re-upload the incorrect image. Also the procedure to re-upload the particular image will be mentioned, which is provided below. Click on the link given on this page to go to the AIIMS candidate login window. Then, enter the application number and password as created at the time of application. After logging in, go to 'My Page' option and click on 'Proceed to Step 2' button. In step 2, candidates will be allowed to upload only that image which must be re-uploaded. After uploading, submit the application form. Note: The image re-uploaded in the AIIMS MBBS application form 2019 must be as per the specifications and candidates must also rectify the issue mentioned by the authority in the mail. The most common queries asked by the applicants while filling AIIMS MBBS 2019 application form are mentioned below. Question: I have not generated the unique code for final registration form till February 17. What should I do? Answer: The code generation facility will be re-opened for the candidates from February 23 till March 12. Candidates who have successfully submitted the application form will be able to generate the code in the stipulated time period. You are advised to do it at the earliest and not wait for the last date. Question: Can I fill the AIIMS application form in offline mode? Answer: No, the application form of AIIMS MBBS 2019 can only be filled in the online mode. The applications in any other mode will not be accepted. Also, note that the application form is closed now. Question: How will I get the Candidate ID and Password? Answer: The candidate ID and password will be allotted after the completion of the registration process. An SMS and email will also be sent to the registered mobile number and email ID of aspirants. Question: What to do if I forgot my Password or Candidate ID? In case if aspirants forgot their candidate ID, they can get it from the mail send by the authority. If they cannot find the same, they need to enter the registered email ID and mobile number to get the same send through SMS and mail. Question: Can I change my name and some other details in the application form of AIIMS MBBS 2019? Answer: All the details filled in the Basic Registration of AIIMS MBBS 2019 application form can be changed except for the name, date of birth, category, OPH status, mobile number and email ID. Question: Can I edit the exam city chosen in the application form after submission? Answer: No, the selected exam city cannot be edited and the exam centre once allotted cannot be modified. Question: Can I pay the application fee offline in cash or DD? Answer: No, AIIMS MBBS application fee 2019 can be paid in the online mode only through credit/debit cards and net banking.